Operation Arcana - John Joseph Adams, ed. That looks like a cover by H.J. 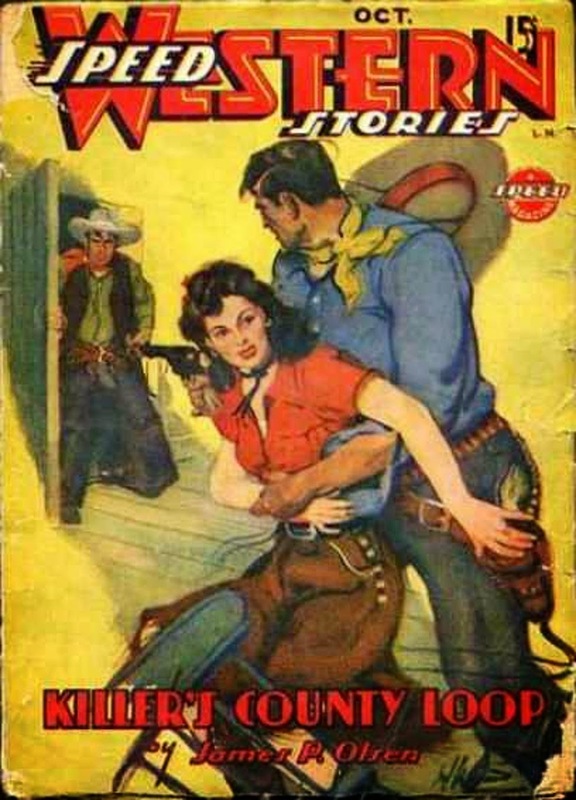 Ward on this issue of SPEED WESTERN, the slightly toned-down version of the old SPICY WESTERN. Inside are stories by Laurence Donovan, James P. Olsen, James A. Lawson (who was also really James P. Olsen), and a host of house-names who might have really been either of those guys or several others who wrote regularly for Trojan Publishing Corporation. I've read a few issues of SPEED WESTERN and enjoyed them.